Available on select voyages to Africa, Alaska, Asia, Australia, Caribbean, Europe, Middle East, New England and Canada, South America, Full World Voyages and Transatlantic Crossings. Every voyage with Cunard is a special occasion. We take sailing to a new level of style and relaxation, providing endless opportunities for you to discover something new while exploring some of the world’s most exciting destinations. 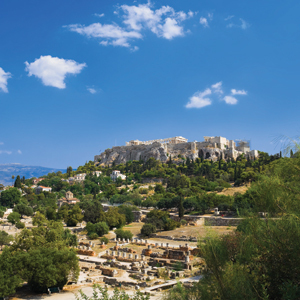 These unique voyages include expert speakers, insightful activities and exclusive events on board plus an array of related bespoke shore excursions in selected ports of call. Book a vacation to remember during Spring Savings Event featuring up to 20% off Launch Fares†, up to $1,000 Onboard Credit^ per stateroom, and Free Gratuities‡ for past guests. Grill Suite guests receive Free Drinks♦ and Free Gratuities‡. From fabled vessels of the past to her present royal court — Queen Mary 2, also known as QM2®, Queen Victoria, also known as QV® and Queen Elizabeth, also known as QE® — Cunard has carried guests across the great oceans and to the far points of the globe in unparalleled style. The most glamorous names of yesterday and today have made champagne toasts in our salons, waltzed the night away in grand ballrooms, savoured grand feasts of the finest flavours in elegant dining rooms, restaurants and cafes, and whiled away hours immersed in fascinating conversation on our many decks, bars, lounges and pubs. Book a stateroom, enjoy the luxury accommodations and relax with delicious room service dining. Indulge your curiosity whether literary or the arts, theatrical productions, music, movies or the energy of a casino. There are endless entertainment and educational pursuits. Enjoy activities at sea or on land such as our spacious decks and pools, elegant soirées and scenic tours. We invite you to take your place in the rich heritage of ocean travel, and write your own classic adventure tale. Join us and let us arrange and book your journey on the legendary luxury ocean liners of Cunard.